Whether we discuss about web design or editing product images, Photoshop is one of the best photo editing tools that you can use. The software can help you to smartly manage endless photo-editing tasks at work, guide you through optimization and customization solutions when it comes to your own company or it can entertain you at home. Why you use Photoshop is not what matters the most. What’s essential is to have a fully working program that can get everything done as expected. Unfortunately, as always, when software is involved we must also discuss about bugs and issues. And since a huge platform such as Photoshop is constantly under development – the Adobe team is always trying to improve their program by adding new features and capabilities – dealing with software-related problems is not a rare thing. So, if you somehow get to experience printing issues while using Photoshop on Windows 10, don’t panic. Just relax and learn how to troubleshoot this bug by using one of the solutions that are being explained and detailed during the present tutorial. This error is quite common and affects a wide range of users that are using the Windows 10 OS. 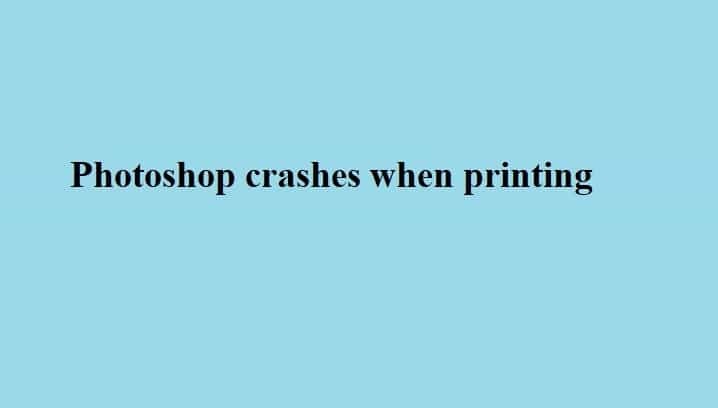 Basically the behavior is simple: Photoshop crashes when printing is required. In a few words, you can use your program normally, without any sort of problems, but when trying to print your work the whole system crashes. That’s an annoying aspect as you cannot properly review your work without having everything printed; nor can you show your projects if the modified images cannot be printed from your Windows 10 computer or notebook. In most situations the print feature fails after a new Windows 10 update is applied; or after you make the transition from an older Windows system such as Windows 7 or Windows 8 / 8.1. Of course, you can get the very same malfunction out of nothing without any apparent cause. What matters is to act quickly and wisely in order to fix the ‘Photoshop crashes when printing’ in Windows 10 bug. Some of the steps from below might be found on other dedicated forums; we are trying to put it all together and to find the best ways in which the Photoshop printer errors can be successfully solved. Here is what you can do to address this problem. Power on your Windows 10 machine. From desktop click on the Search icon – it’s located near the Windows Start icon. There type ‘printer’ and press Enter. Note: if there are more than one printer installed you will have to apply this process for each driver. Select the printer and choose “eliminate printer”. 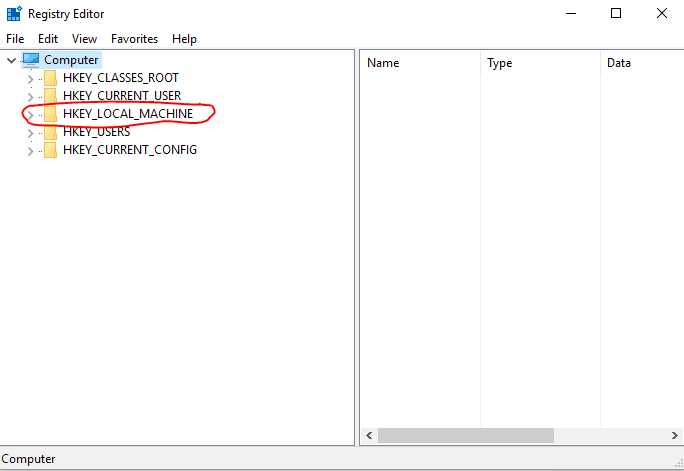 Also, make sure you uninstall the associate drivers along with the actual device – the same process can be completed from Control Panel: go to Control Panel, switch to categories, then pick View Hardware and Printers (under Hardware and Sound field) and just delete all the installed printers. Finally, in the search box enter ‘APPWIZ.CPL’ and just uninstall all the other programs that are related with your printers. 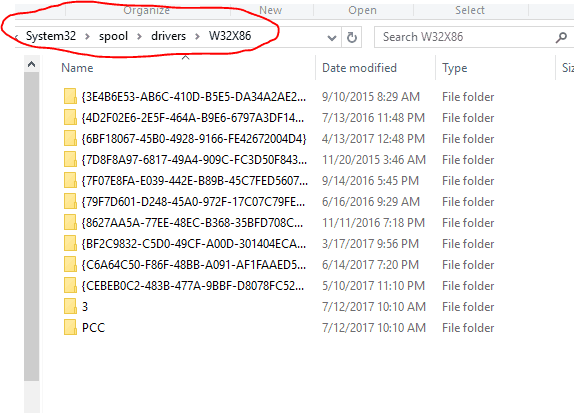 Open Windows Explorer on your Windows 10 computer: use the ‘Win+E’ combination keys from your keyboard. 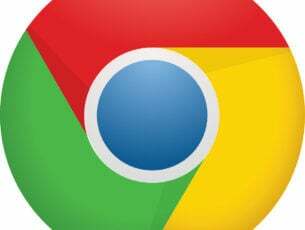 In the address bar enter ‘c:windowssystem32spooldriversw32x86’. From the window that will be displayed rename all the folders and files – to rename a file right click on it and choose “rename”. Launch the Search bar again and type ‘regedit’. Press Enter when done. From Registry you need to find and click on the ‘HKEY_LOCAL_MACHINESYSTEMCurrentControlSetControlPrintEnvironmentWindows NT x86’ entry. Extend the list of the sub-keys and check what’s listed there – you should have only the following entries: Drivers and Print Processors. You need to delete the other keys. From Registry you also have to access the ‘HKEY_LOCAL_MACHINESYSTEMCurrentControlSetControlPrintMonitors’ entry. Extend the sub-key list where you should have only the following entries: BJ Language Monitor; Local Port; Microsoft Document Imaging Writer Monitor; Microsoft Shared Fax Monitor; Standard TCP/IP Port; USB Monitor; WSD Port. You must delete all the other entries. 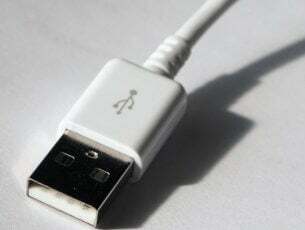 If your computer is connected to your printer through a USB cable, unplug it; otherwise turn off the Wi-Fi connection through which your printer is connected to your computer. Restart your Windows 10 machine. Reconnect your printer with your computer and follow on-screen prompts for installing your printer and its official drivers. On the same page, if the steps from above didn’t solve the ‘Photoshop crashes when printing on Windows 10’ error, try installing the drivers for Windows 8. That might work as there might be some compatibility problems between Photoshop and Windows 10. Before starting the steps from this section is important to save your work from Photoshop. Also, a general backup of PS is also highly recommended. Hold down the Alp+Ctrl+Shift keys while your start the Photoshop program. A warning message should be displayed asking if you want to delete Photoshop Settings files. You can also complete this process manually – which is more indicated in our case. Open a Windows Explorer window: press the “Win+E” keys. In the address bar enter: ‘C:Users[Username]AppDataRoaming/AdobeAdobe Photoshop CSxAdobe Photoshop CSx Settings<any.psp file>’. From the list of files that will be displayed in the next window you will have to delete the following ones: “Adobe Photoshop CSx Prefs.psp” and “PluginCache.psp”. Some users reported that they managed to fix the printing errors while using Photoshop after uninstalling Lavasoft Web Companion. 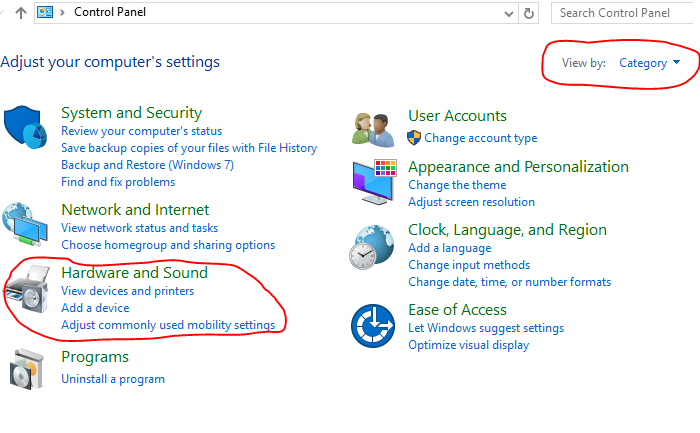 You can uninstall a program from your Windows 10 computer through Control Panel – access Control Panel, switch to Categories and then select ‘Uninstall a program’ (under the Program field); choose the program that you want to uninstall and click on ‘remove’; from there just follow on-screen prompts. Those are the solutions that can help you fix the ‘Photoshop crashes when printing’ Windows 10 bug. If you are still trying to figure out what’s wrong, try to obtain further details on what is causing the problem – such as the error log. We will try to assist you with new solutions and suggestions as soon as possible. Also, if you know other methods that might work, don’t hesitate and share them with us so that you can help other users too.